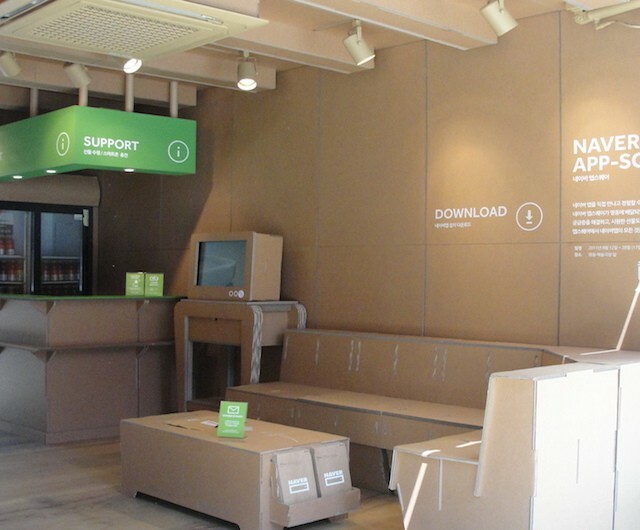 GreenGaia Co., Ltd. is a paper furniture and cardboard design company specializing in DIY furniture and products. We design amusing and practical paper products for home, advertising and exhibition. The world made with paper. After sharing ideas with careful consideration, a few designers with creative minds in 2007 established GreenGaia Co., Ltd., a product-design company specializing in paper. Eco-friendly design, for the future. Through paper products, eco-friendly and easy to build, we design durable furniture and living goods that can be fun but practical in your daily life. Funnypaper® is a paper furniture and toy brand for kids, focused on paper’s unlimited possibility, expandability and environmental performance. For instant use and discard. Use the furniture for the right occasion and for the right age. Just recycle after use. All paper furniture made from recycled paper can be recycled again after use. Compact furniture, easy to assemble and disassemble. Light paper furniture is easy to assemble and to disassemble without any tools. Enhanced durability through safe paper without toxic substances. Emotional furniture, encouraging creativity and spatial perception. Throughout the process of making furniture, created from paper pieces and joints, creativity and expressiveness grow through decorating and drawing pictures on the self-assembled furniture. STRUCTUR™ is a lifestyle brand offering innovative products for daily life. The products range from small household items to large-scale furniture. Our design concept focuses on the structure of each item in our product line. STRUCTUR™ not only keeps up with the trend but also provokes limitless choices through its basic, easy, intuitive design. We have developed our own distinctive style. Enjoy life both during work and leisure time. By sharing our favorite ideas and design innovations, we help to create value in our daily lives and in the lives of those around us. We consider intuitive design and functionality to be platforms that can be easily experienced by everyone. The starting point of our design is the close relationship between material objects and their users. 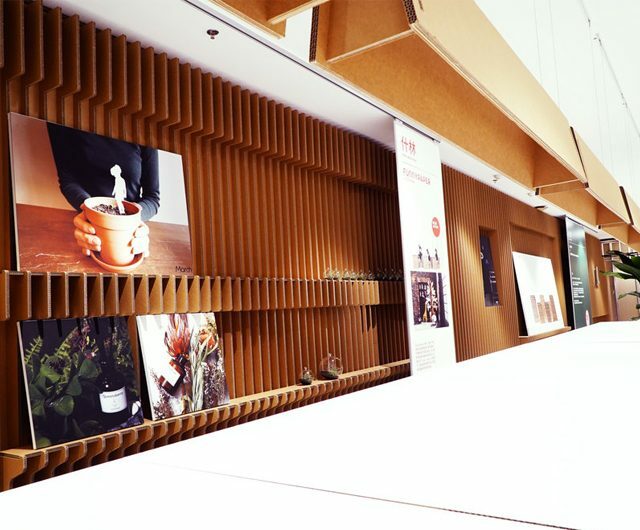 STRUCTUR™ uses functional cardboard as our base material. Compared to other similar materials, it is not only light and stable, but also a unique design element. 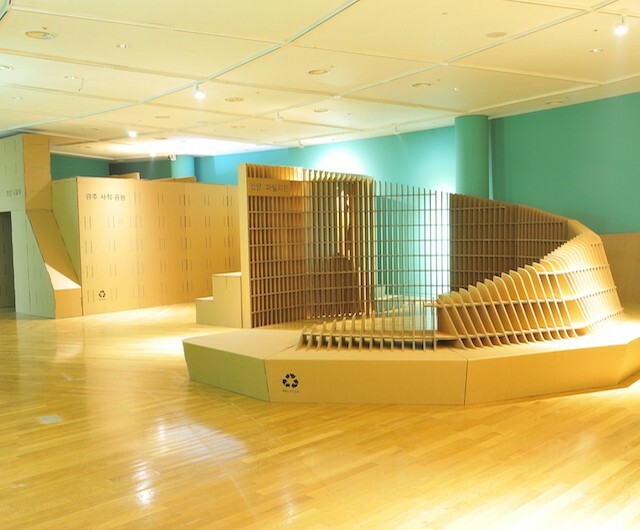 While cardboard is incredibly sturdy, it is light enough to transport anywhere. Consider our product line for that special gift. We assure you that it will become more unique as time goes by. We design paper installation for exhibition. Produced and installed chairs and stools for Alvaro Siza Hall, a public art space. Paper art furniture, created in collaboration with architects for Clayarch Museum, a public institution. A pop-up store to advertise a new mobile application by NAVER. Commercial space for LINE, a mobile SNS application from NAVER. Thinking outside of the box, we tried to overcome a stereotype, the functionality of cardboard material. 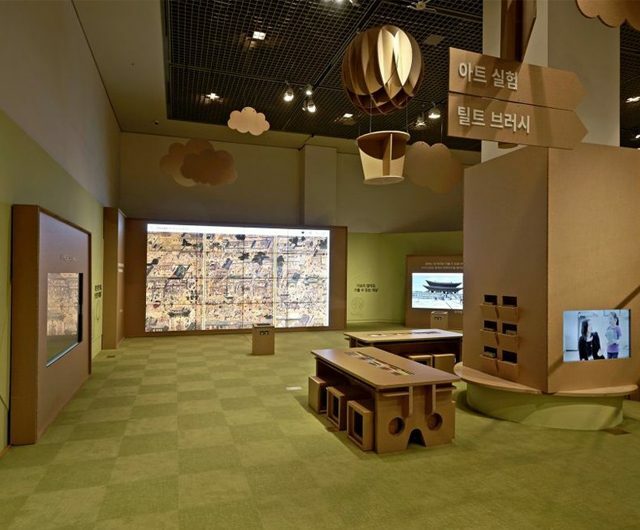 We produced and installed paper booths and fixtures in the children’s Museum at the National Museum of Korea.